Another major area of the Firm’s practice involves representation of banks and other lending institutions. Scott/ Harris represents various lenders in all aspects of loan transactions, from the simple residential purchase to complex commercial loans. The Firm is uniquely equipped to provide closing services to lenders of all sizes, due to the experience and abilities of its attorneys in handling every aspect of a loan closing. Additionally, the Firm has the capability to obtain title updates, copies of title documents through computer imaging, judgment searches and tax information within the office and to prepare lender’s closing packages, all within a very short time-frame. 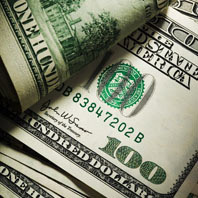 Scott/ Harris has a computerized loan document file, that is continually updated, and includes approved forms for many of the South Florida lenders. In addition to representing lending institutions in transactions, the Firm is a qualified closing agent for the majority of banks doing business in South Florida. The real estate experience of the Firm, combined with commercial litigation experience of our litigators, also enables Scott/ Harris to provide litigation services to banks via foreclosure actions and loan workouts. The litigation attorneys work closely with the real estate attorneys and paralegals to provide accurate, speedy and efficient representation of lenders.